Mega Power Star Ram Charan's mass entertainer Vinaya Vidheya Rama directed by Boyapati Srinu gave a huge shock not only to mega fans and masses but also to mega family. The film which came after Ram Charan's Rangasthalam, tarnished his image and status completely. The filmmakers were forced to delete few scenes with defied logic. Even as many dissected what went wrong and why Boyapati caned such scenes and how Ram Charan and Mega Star Chiranjeevi gave green signal for such scenes, Ram Charan stunned all by writing an apology letter. This instead of cooling the tempers increased the fire as he did not mention Boyapati's name, which many feel that he is furious with him. 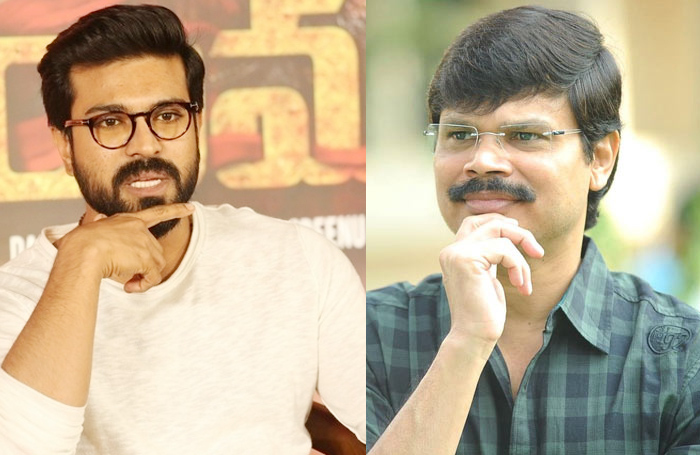 Rumors spread that Ram Charan and DVV Danayya decided to part with Rs 5crs of their remuneration each to compensate for the losses but Boyapati refused to do so. The letter came as a shock to Boyapati who is completely upset. Now inside talk is Danayya and Boyapati many times during the film shoot opposed many illogical scenes but Boyapati refused to heed to their suggestions. They even questioned Boyapati the need for the action scene in Azerbaijan but Boyapati was hell bent on shooting the action episode. What made them even more furious was Boyapati did not even re consider his decision after watching the final copy and so now Cherry and Danayya decided to ditch Boyapati finally.